Mar-flex LiteFUSION Waterproofing Membrane is an economical water-based acrylic waterproofing membrane for use when hydrostatic pressure exists. It has the ability to bridge cracks that might later develop in a foundation, and can protect from the dangers of moisture, which can cause mold and mildew. 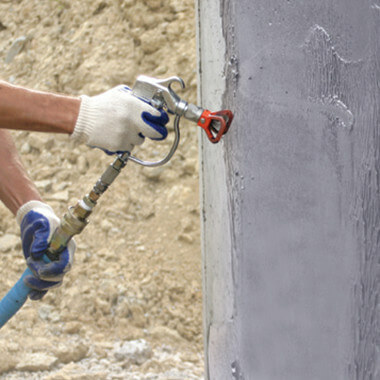 Mar-flex LiteFUSION is specifically designed for waterproofing pre-cast, poured and masonry foundation walls. Mar-flex Lite FUSION is a spray-on membrane, so it dries as a seamless, monolithic coating. It has no odor and will dry to a gray color to blend with the color of concrete. LiteFUSION Waterproofing Membrane is compatible with Mar-flex drainage and insulation boards. Unlike dampproofing, a waterproofing membrane is designed to stop water infiltration and be extremely effective when applied on the exterior of a foundation system. Elongation @ 70°F — 300% min. Total Cure Time — 24 hrs. Tensile Strength — 170 psi min. QuickSeal Waterproofing Membrane is both versatile and effective. 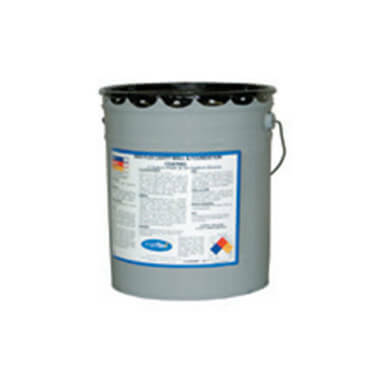 It can be applied as water-based latex emulsion or a solvent-based solution, and comes with a limited warranty.